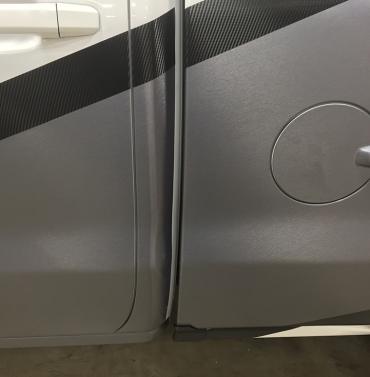 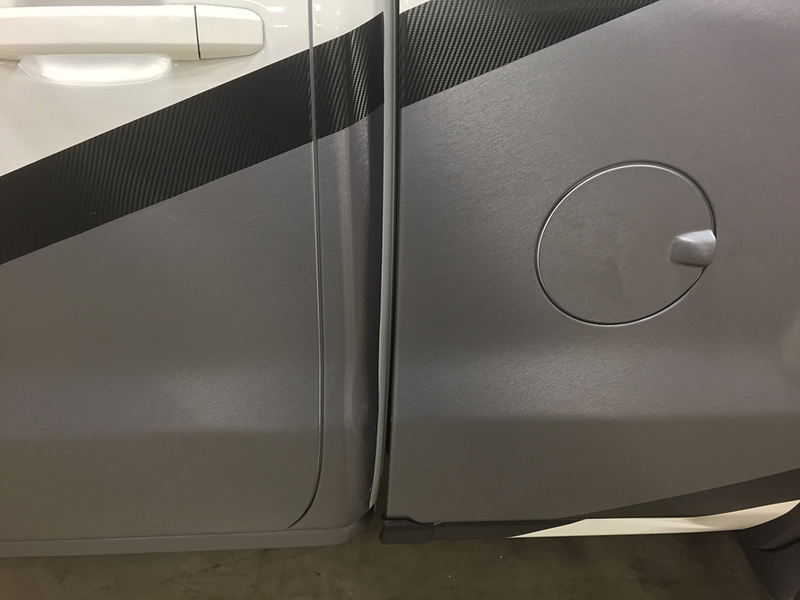 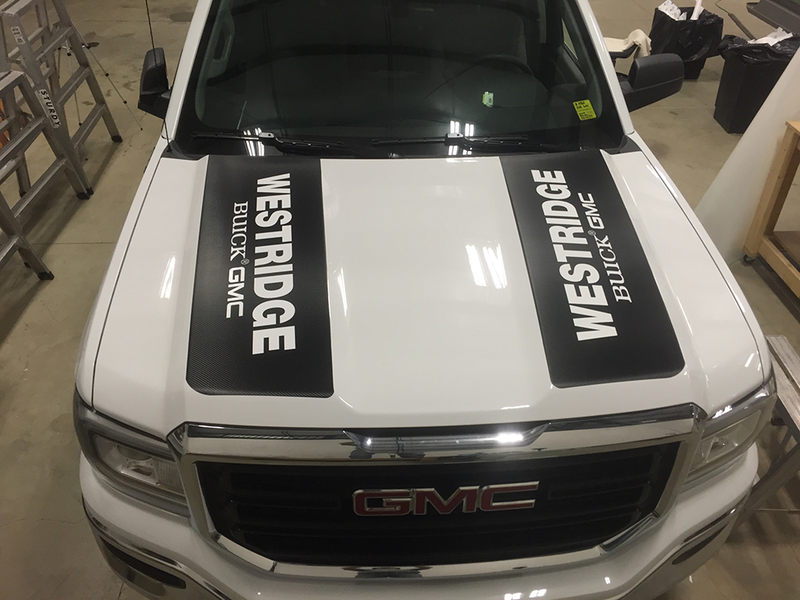 Black carbon fibre, brushed metal, and chrome… these vinyl’s combined make for a polished and elite vehicle wrap. 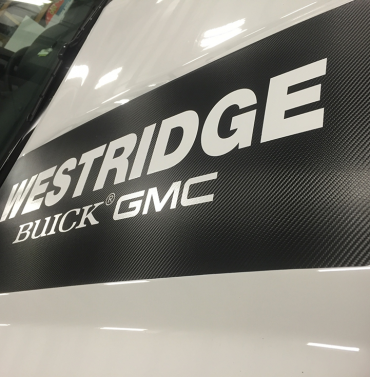 It’s one of the most detailed and textured wraps we’ve completed, and the quality definitely shows! 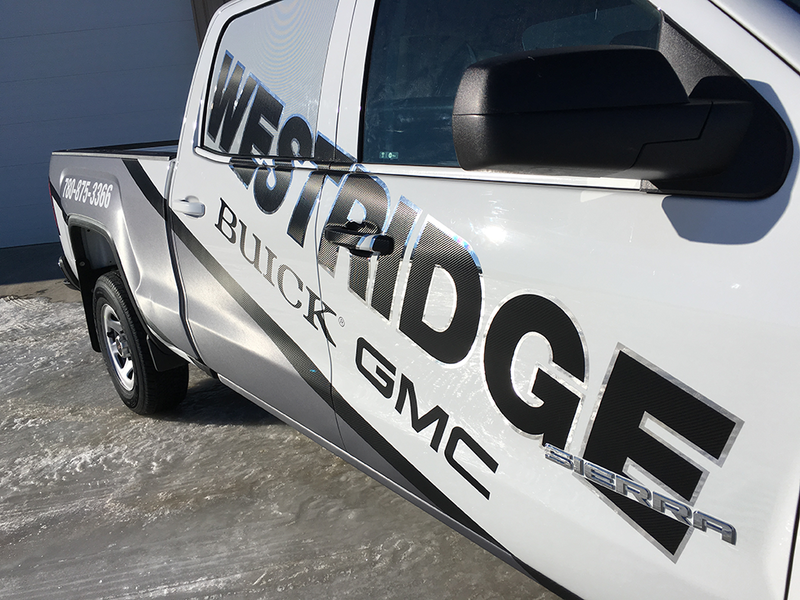 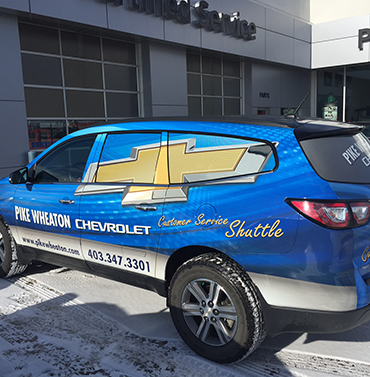 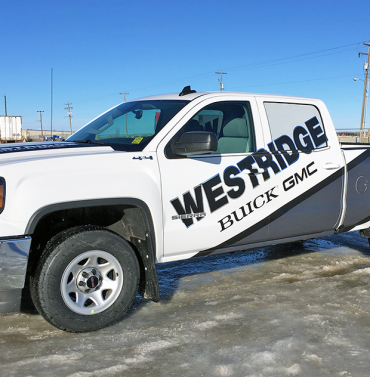 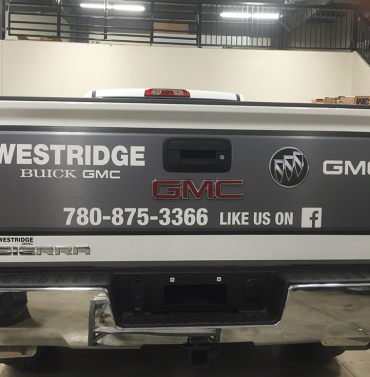 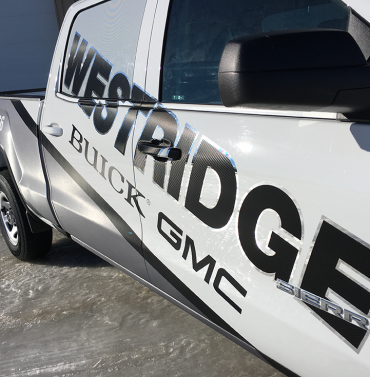 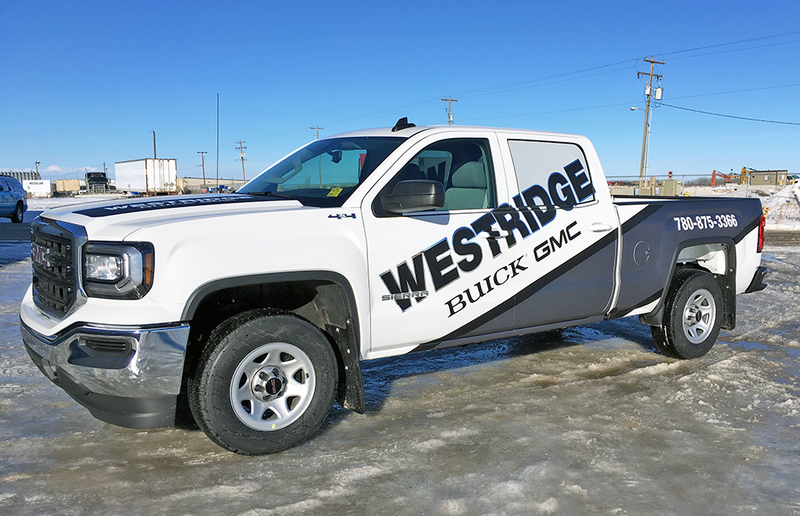 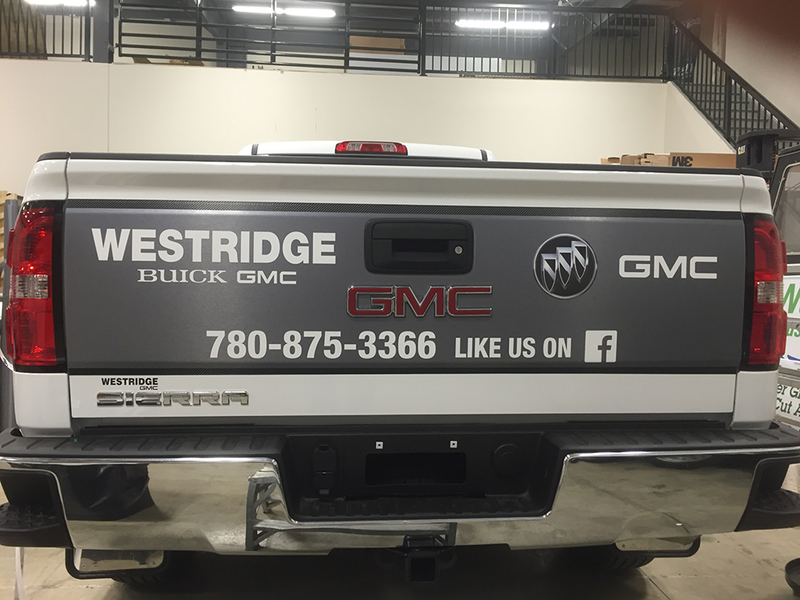 We think our friends at Westridge Buick GMC will be proud of this addition to their fleet. 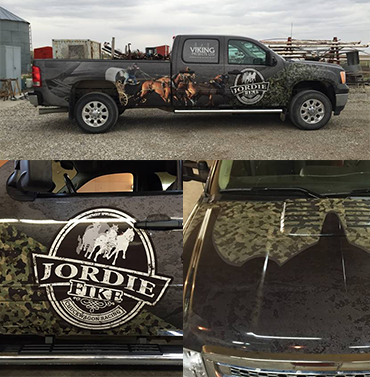 For all kinds of custom decal packages and wraps, give us a call! 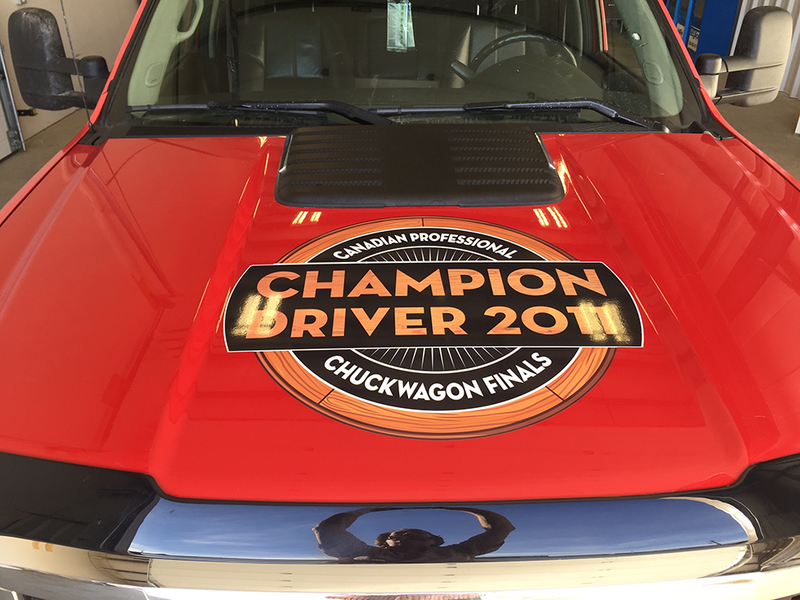 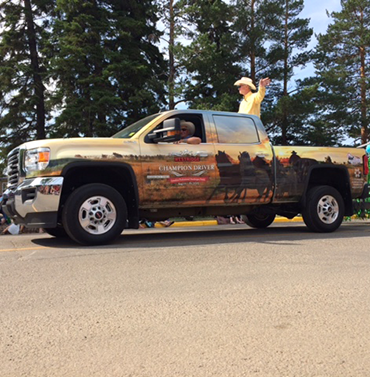 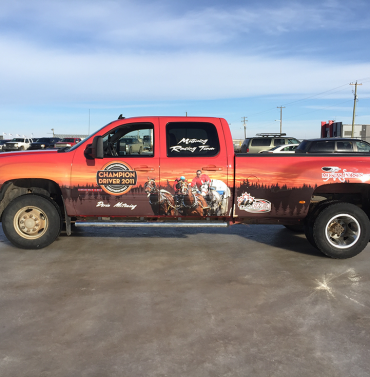 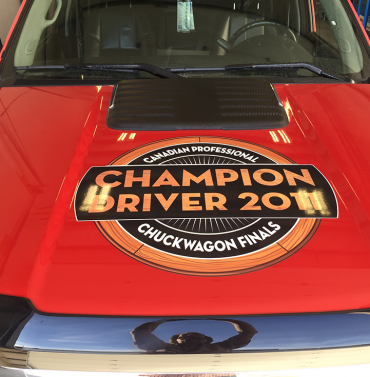 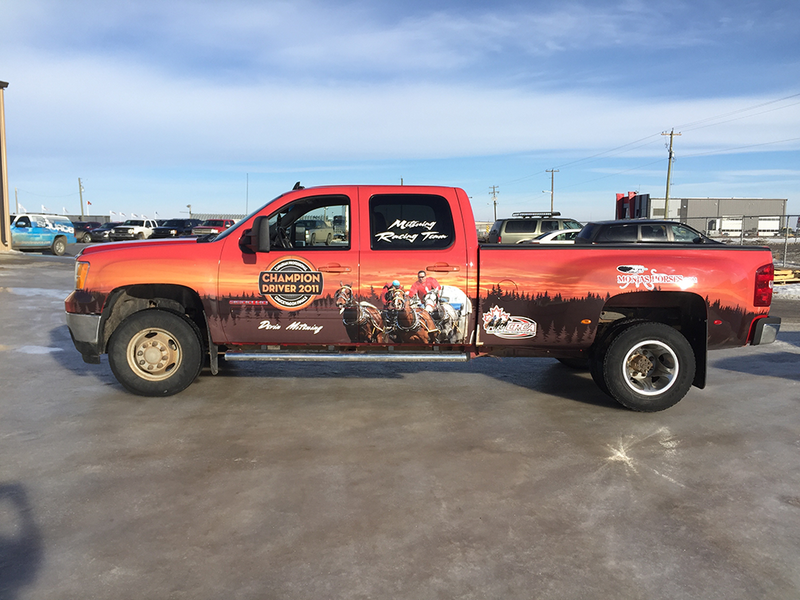 This truck was won by CPCA chuckwagon driver, Devin Mitsuing, back in 2011. 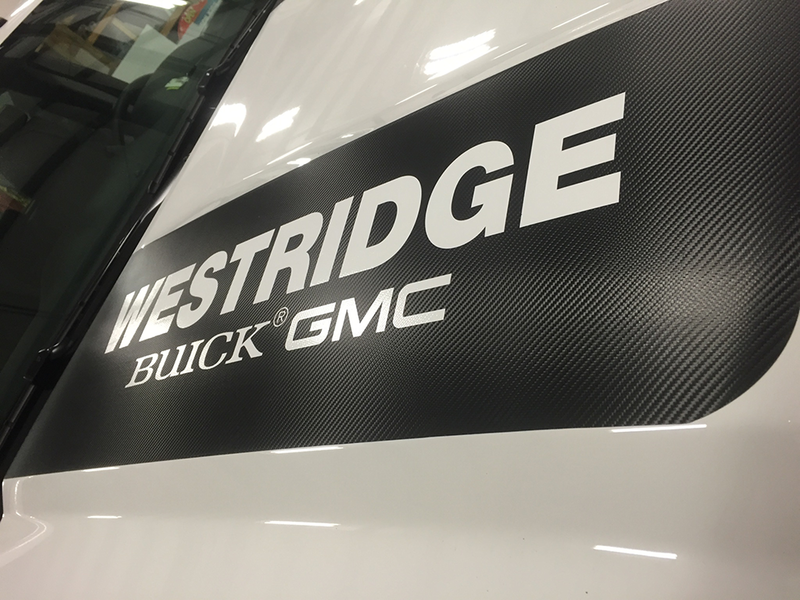 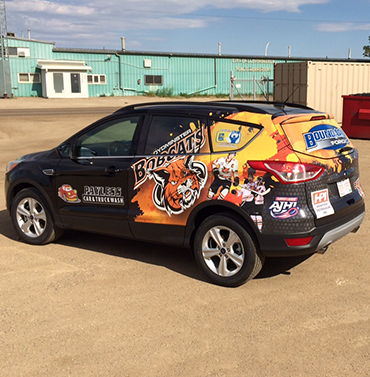 Here at Reid Signs we have updated it with a completely custom, brand new partial wrap! 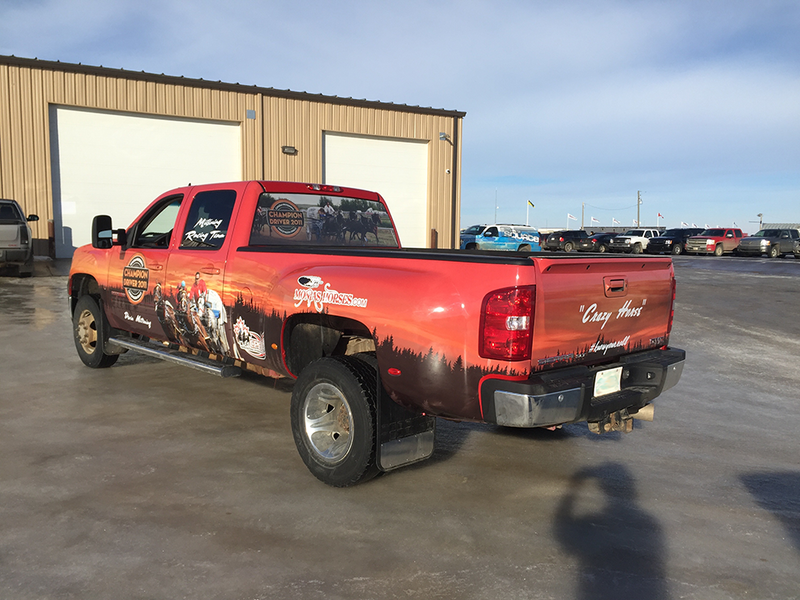 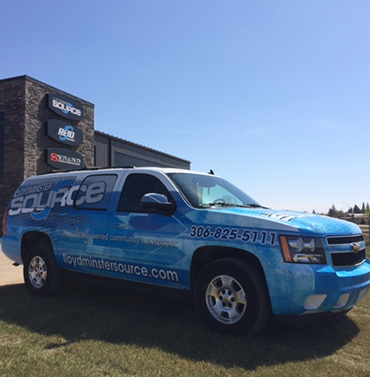 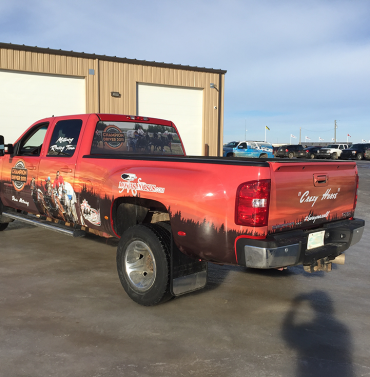 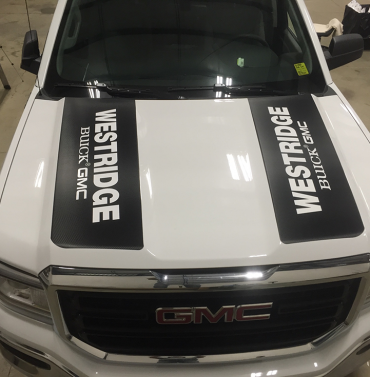 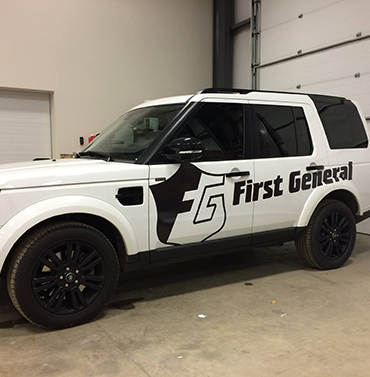 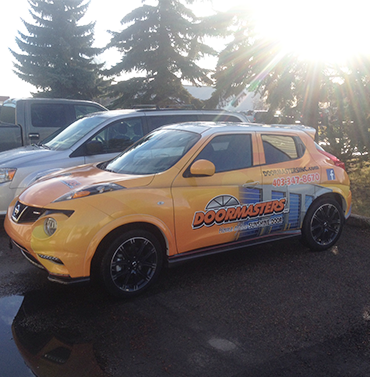 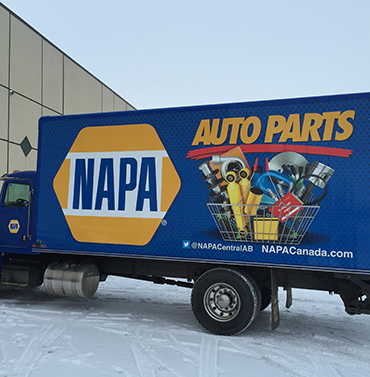 If your truck needs updating or your wrap needs a fresh look – give us a call.